viki, 26 Feb 2016hi, how is the phone , just want to know the battery backup?Sorry for the delayb brother. Battery backup is good. I really satisfied with battery backup. how is the phone , just want to know the battery backup? AnonD-124655, 23 Feb 2016I cannot connect my phone (windows 10 preview) to my pc (windows 10). Does anybody have the s... moreI have also updated to windows 10 both pc and mobile, and there is no problem connecting phone to pc(via Usb). What exactly happens when you try to connect your phone? Concerning Viber, I can't find video call, I think it isn't available, even in wp8.1, the app must be the same. I cannot connect my phone (windows 10 preview) to my pc (windows 10). Please help, should I Downgrade the phone to Win8.1 for that. Anonymous, 19 Feb 2016Htc M8 is much better Just now I downloaded viber on lumia 930. But there is no video call option in viber. Is there no video call option in viber for Windows mobile? Jush, 09 Feb 2016Got this unit through an online store here in the Philippines at Php11,990 including shipping ... moreDid it come with a warranty. Saw it online too. 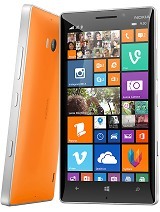 Just now I bought lumia 930 with Windows 8.1. Now I want to know that,using with Windows 8.1 is better or should I have to update it to Windows 10? Which one gives best performance? I'm confuse. Please tell me the best option. Jush, 15 Feb 2016Been using windows 10 mobile TP too on my lumia 630 but never tried it on my 930. How was the ... moreIt works very well and only really had two big issues and that was with screen not waking up on an older build, but I must say it looks great on the 930's screen and battery life is about the same. So all in all I don't think there is any point holding off upgrading to WP10 myself. build quality is much better in lumia 1020. 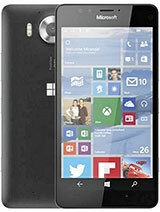 Specially nokia has used cheaper quality of amoled panel touch screen when you compare with 1020's touch. It may be to limit the cost or to cut the weight of phone. But if you ignore this, all other are superior than 1020. At present moment I'm using a HTC one M7. Now I planned toc change my phone. I decided to buy a Lumia 930 or HTC one M8. Which is the best one among these models? Hmm, 13 Feb 2016It's not been officially released for the 930, but you can join the insider program and get a ... moreBeen using windows 10 mobile TP too on my lumia 630 but never tried it on my 930. How was the build working on your device? Is it better than 8.1? paszzz, 17 Jan 2016i ve updated my lumia 930 to denim 8.1 and it dosen't have any improvements in apps like tha c... moreinstall lumia camera app from store it's offering all camera function including 2160p. Anonymous, 12 Feb 2016as I know windows 10 is already released for lumia 930, but only in selected Country. Im Not s... moreIt's not been officially released for the 930, but you can join the insider program and get a pre-release and very stable copy of WP10. I have been using it myself for the last 5 months on my 930 and have no regrets installing WP10. One thing to be aware of tho.. you will lose Nokia here drive maps and city lens during the upgrade and get a all in one replacement map application in stead, but no city lens. Updates per device per country for Windows 10 mobile can be found on the MS website, but I can't find it. It must be there somewhere to check every device from every country and the release date of Windows 1 mobile. 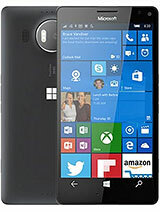 Marius, 11 Feb 2016Hey guys, do you have any news when Windows mobile 10 will be released? 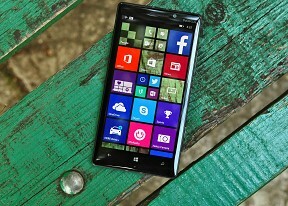 (owner of 930)as I know windows 10 is already released for lumia 930, but only in selected Country. Im Not sure though.